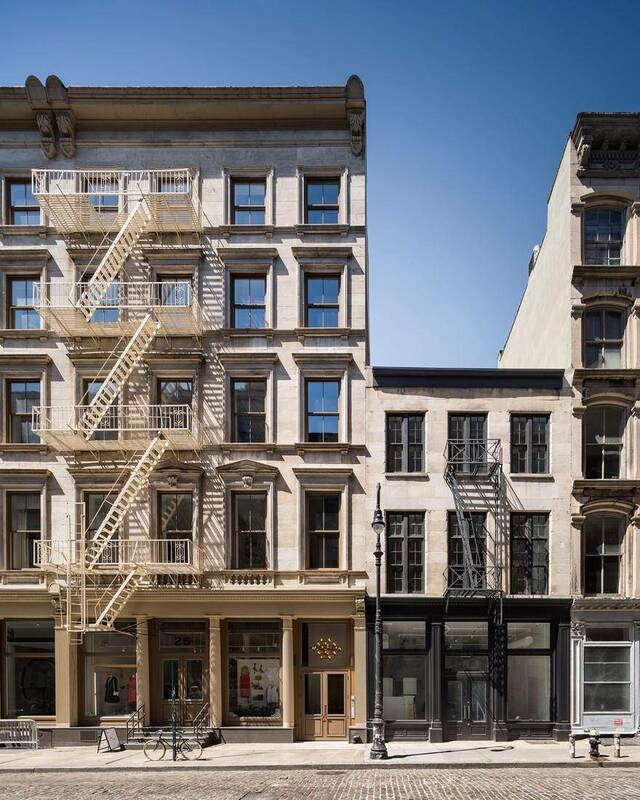 Soho has long been one of New York’s most desirable residential areas. 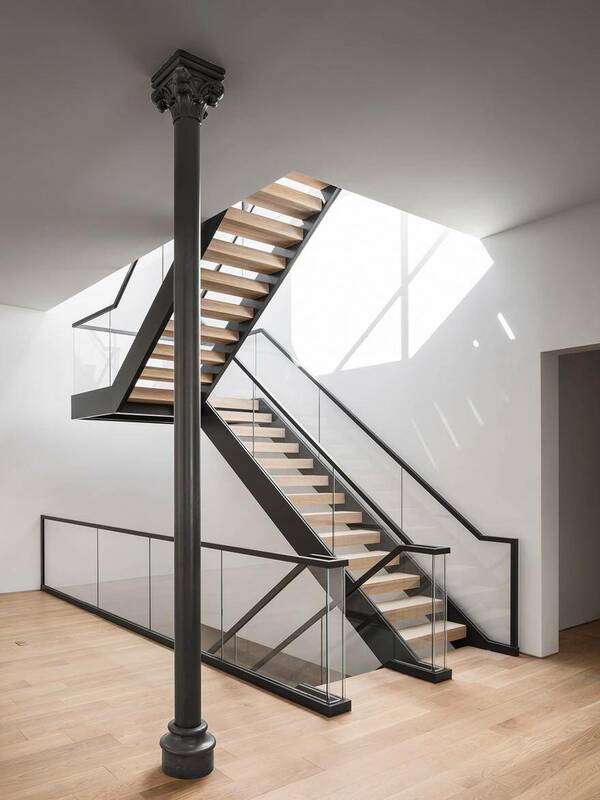 Gone are the days of the neighborhood’s haven of artist studios, even longer past are its industrial roots. 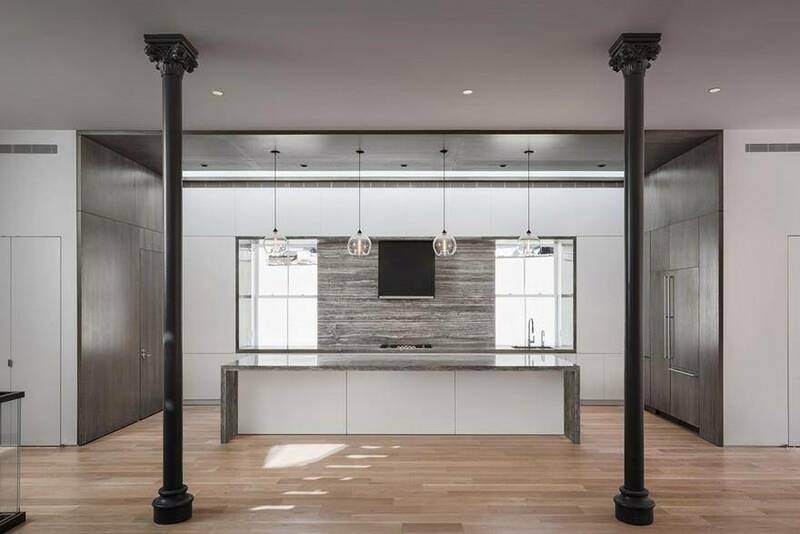 Reaching back to the bones of its 1867 Gilded Age structure, the Townhouse at 25 Mercer Street reconfigures the mercantile building as a lavish multi-floor residence. 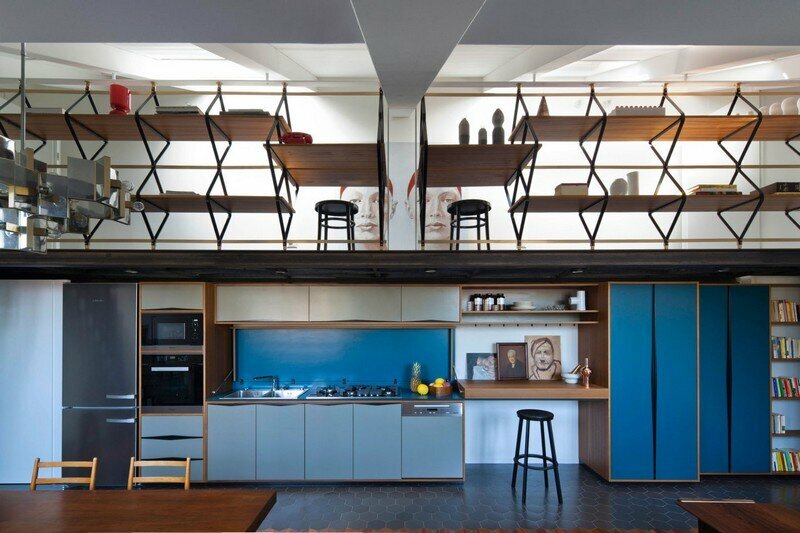 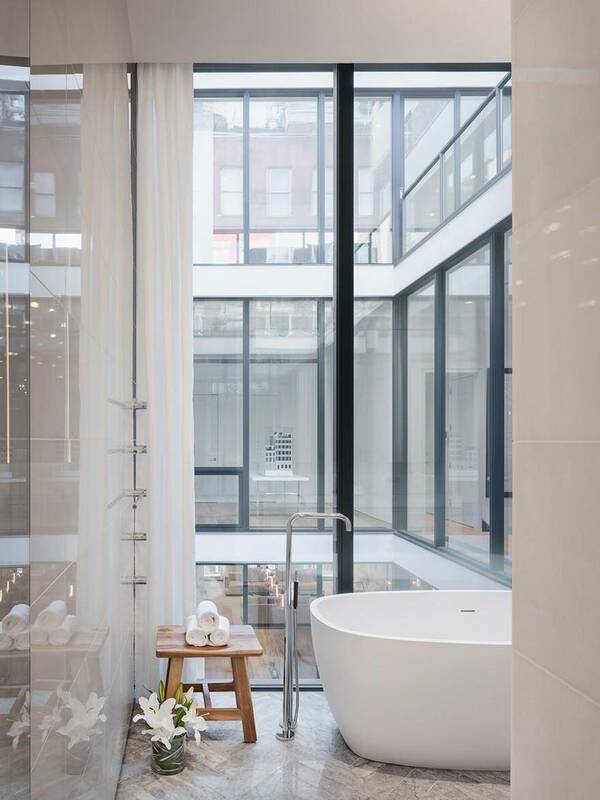 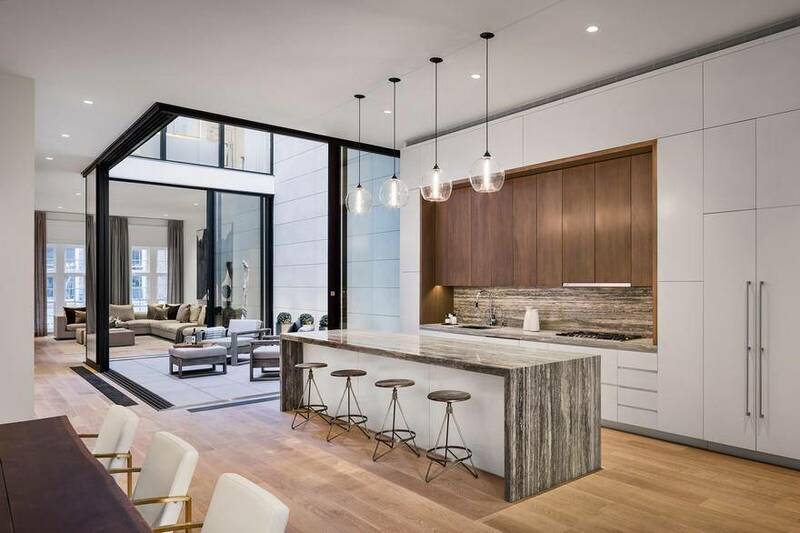 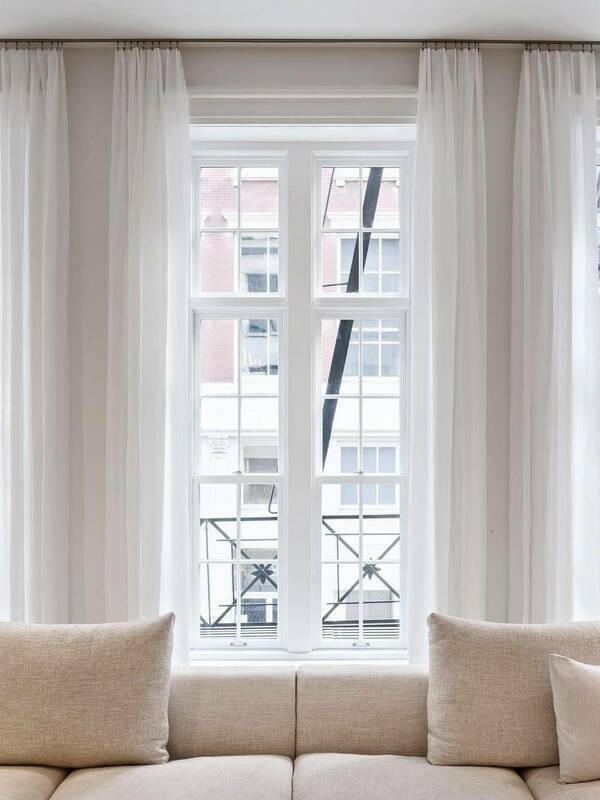 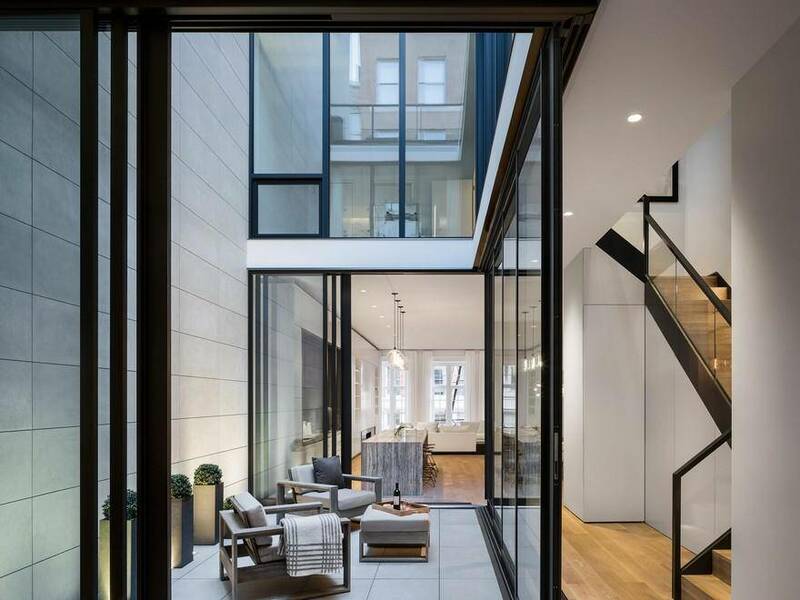 The brainchild of developer/architect Michael Kirchman of GDS Development and designed by Fogarty Finger Architects, 25 Mercer’s Townhouse occupies three floors. 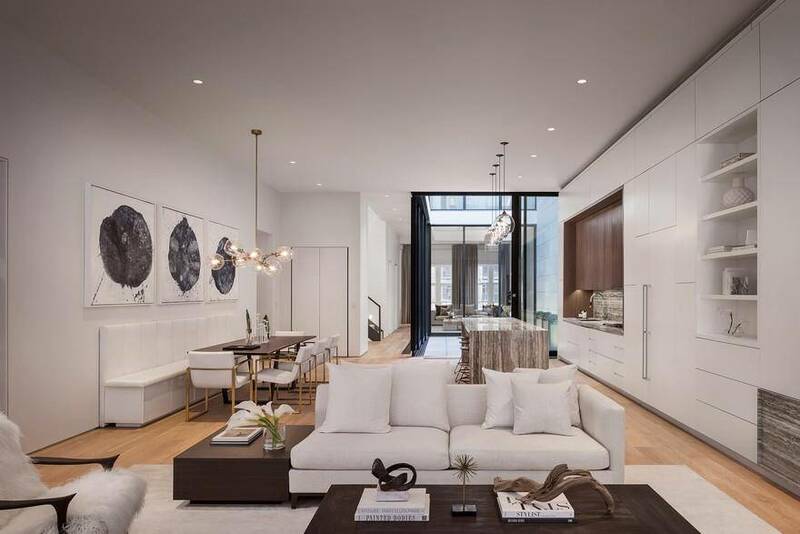 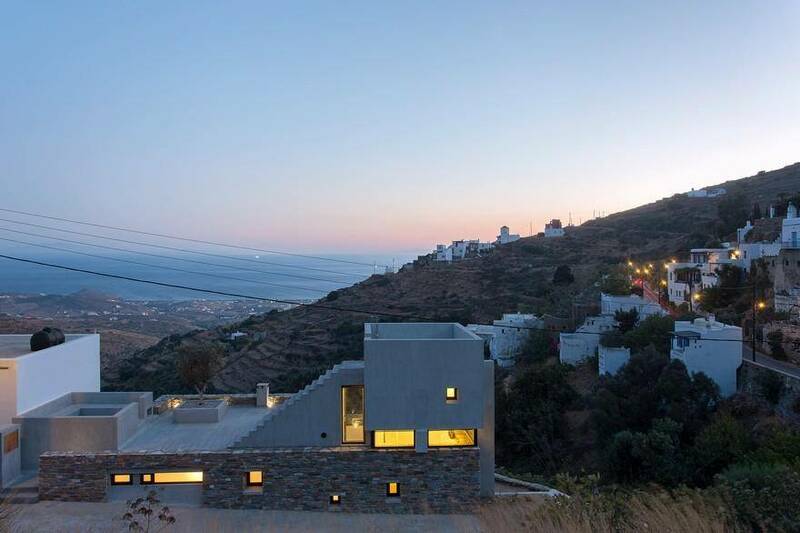 The project is subdivided into five boutique residences including one townhouse, three full-floor loft apartments, and a duplex penthouse. 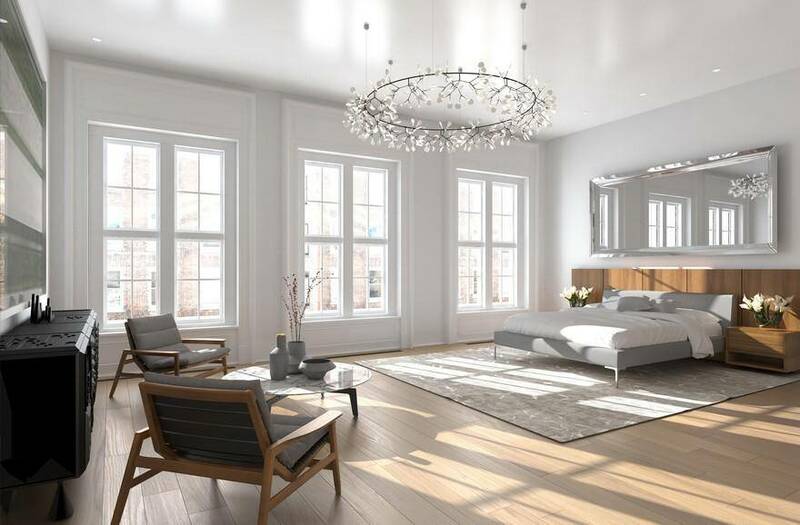 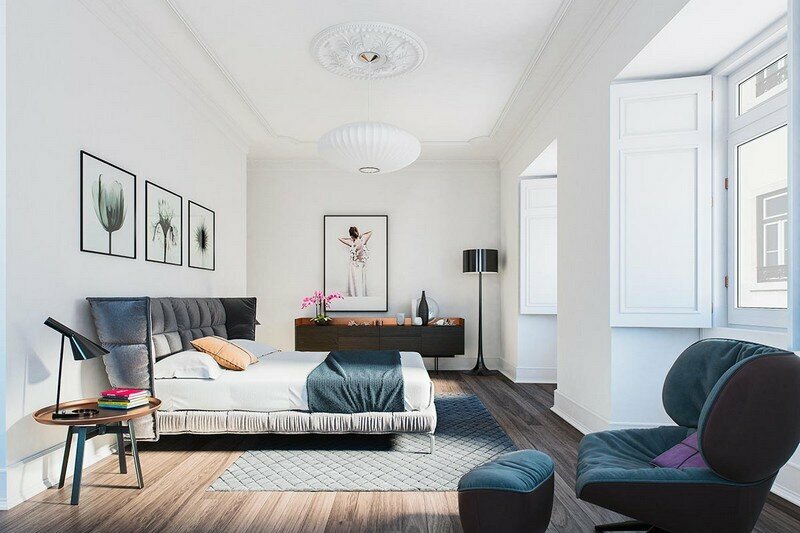 Standout features of the residences include 14-foot ceilings with exposed timber beams and cast-iron columns, keyed elevator entrances, private lobbies on each floor, and private rooftop terraces for three of the units. 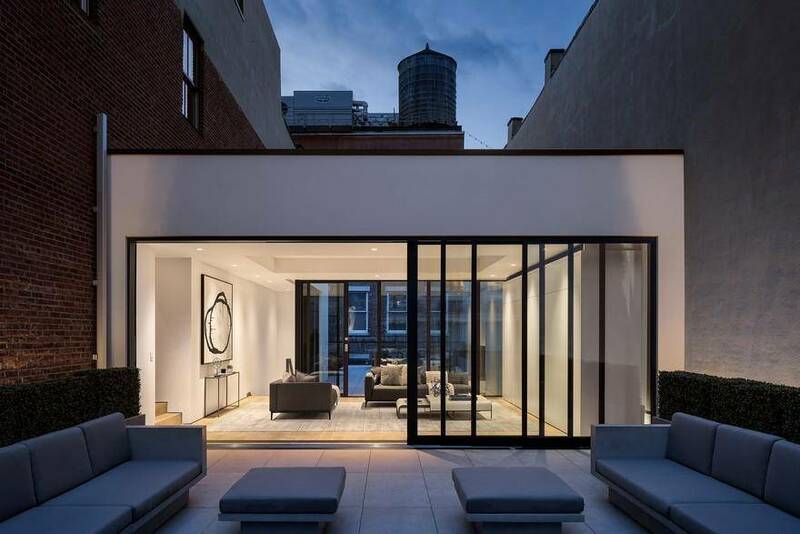 Planned around a newly cut, fifteen by twenty foot courtyard, the elongated floor plate becomes animated with natural light and framed internal views. 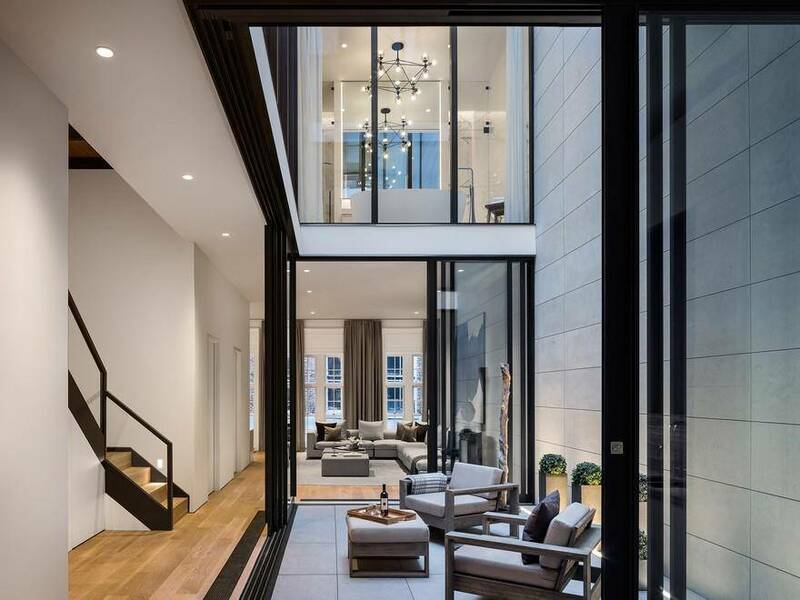 On the main floor, enormous twelve foot tall operable panels define the courtyard. 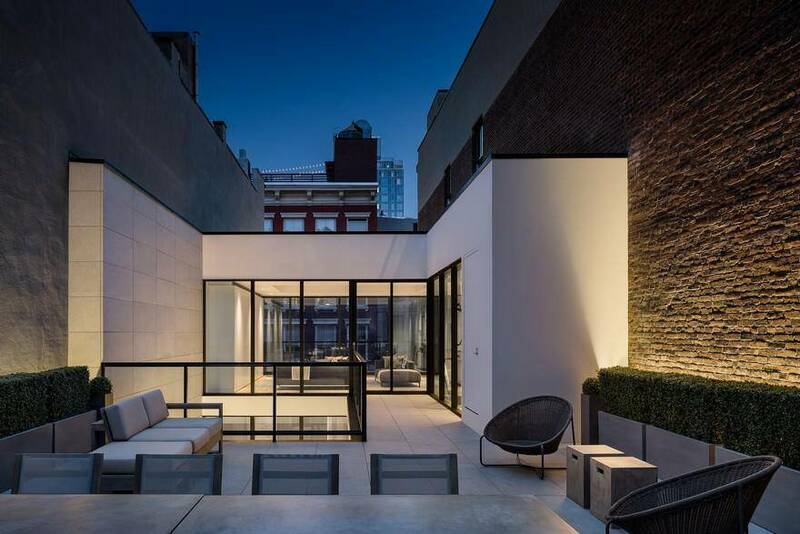 The newly added third floor features a lounge-like family room with two private rooftop terraces. 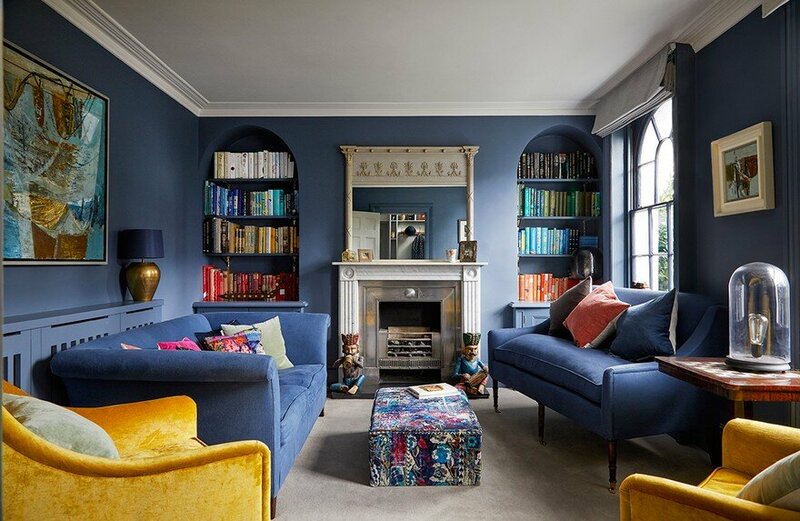 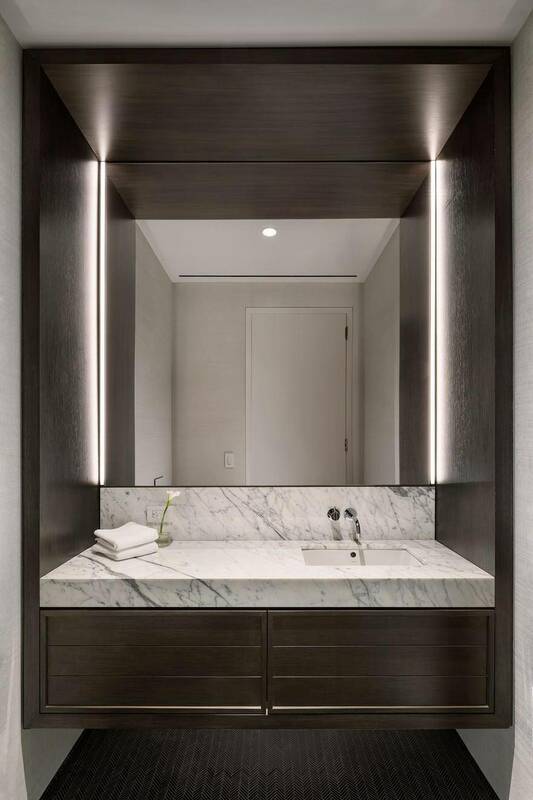 Fogarty Finger’s pared down aesthetics, luxurious materials and crisp details express a sense of refinement throughout the residence. 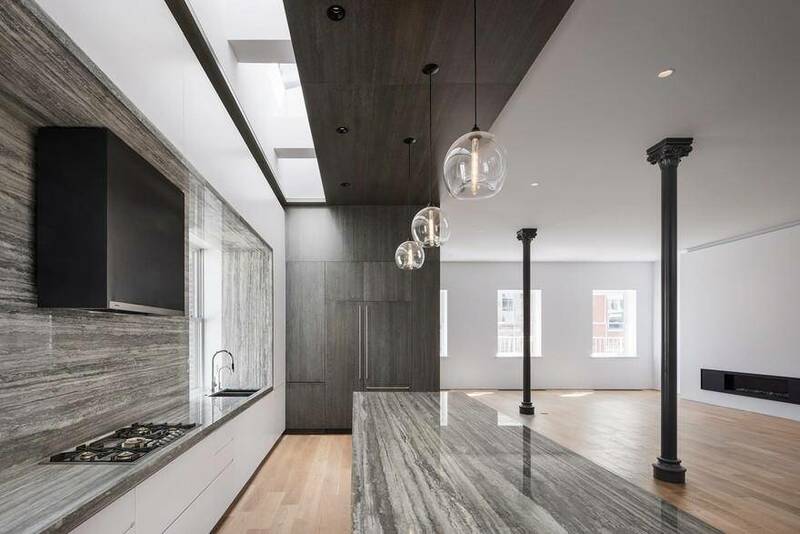 A study in black/white lines and planes, offset by warm splashes of wood and stone, the space evokes an iconic New York townhouse through thoroughly modern means.